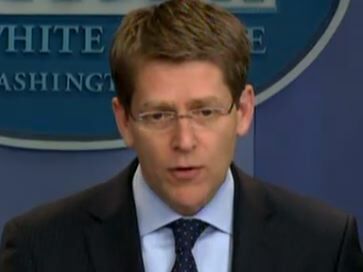 Carney: Americans Should Be "Appalled" By Birth Certificate "Distraction"
"It's an unfortunate distraction from the issues that I think most Americans care about," White House press secretary Jay Carney said about the controversy surrounding President Obama's long-form birth certificate. "Anybody who is watching this exchange, the West Wing of the White House would be appalled, or most Americans would be appalled." Krauthammer: Obama Admin's Policy In Syria A "Disgrace"